Welcome to The Vein & Vascular Institute of Spring Hill. When you arrive for your outpatient vascular surgery, please make sure that you have a friend or family member accompanying you because you will be lightly sedated during surgery and you will not be able to drive yourself home post surgery. Please note that we do offer transportation for outpatient surgery if no one can accompany you. When you enter The Vein and Vascular Institute and sign in at the registration desk, you will be asked to present your medical insurance card and a photo ID, such as a driver’s license. You will be given paperwork to fill out. Please note that the patient paperwork can be downloaded from our website, printed out, filled in and brought in with you on the day of your surgery. This can help make your registration process faster. Once the registration process is complete, you will be greeted by one of our surgical technicians who will walk you back to the pre-op room of our outpatient vascular surgery center. In the pre-op room, you will be asked to change into a surgical gown and socks, making sure that the gown is open in the back and that you have removed all clothing, including your undergarments. Next, your surgical nurse will go over some forms that you will need to sign before surgery. The nurse will also check your vital signs and insert the IV which will be used to administer the sedative. After the nurse leaves the pre-op room, your vascular surgeon will visit you to discuss your vascular surgery and answer any of your questions. Once you are ready for surgery, you will be taken into the surgery room and transferred onto the surgery table. The surgical technicians will then sterilize you from your belly button down to your mid-thigh area by applying a prepping solution. Once you are prepped and ready for surgery, the vascular surgeon will come into the surgery room and begin the procedure. The vascular surgeon will perform an angiogram or venogram. This will be accomplished through a small incision in your groin area. After your surgery, you will need to stay in the recovery room for approximately two hours so that the nurse can monitor you and make sure that you are starting to recover well after the surgery. The nurse will also go over the discharge instructions with you so you know what to expect during the two weeks following your vascular surgery. Before you are discharged, the vascular surgeon will also come visit you in the recovery room to discuss the results of your vascular surgery with you. Once you are ready to be discharged from our surgery center, you will feel groggy from the sedative that was given to you before your procedure so our surgical technician will transport you to your car in a wheelchair. A friend or family member will have to drive you straight home so you can rest quietly and continue your recovery. It is important to make sure that you have a responsible adult taking care of you for the first 24 hours following your surgery. 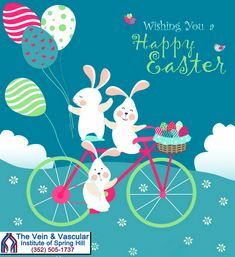 Thank you for choosing The Vein & Vascular Institute of Spring Hill for your endovascular surgery. If you have any questions about outpatient surgery at The Vein & Vascular Institute, please call (352) 505-1737.